EMC has announced the release of Project CoprHD, otherwise known as ‘copperhead’, an open source version of EMC ViPR Controller embracing open development and a free ‘no restrictions”’download for non-production use of its ScaleIO software. Revealed at EMC World 2015 in Las Vegas, the tech giant also previewed future enhancements for ScaleIO. The overriding message from the three-day conference was that the world is undergoing unprecedented change that is disrupting businesses, even those born of the Internet and e-business eras. Consequently this is having a dramatic effect on the expectations of consumers who expect faster, more personalised digital experiences and 24x7 access on all devices. 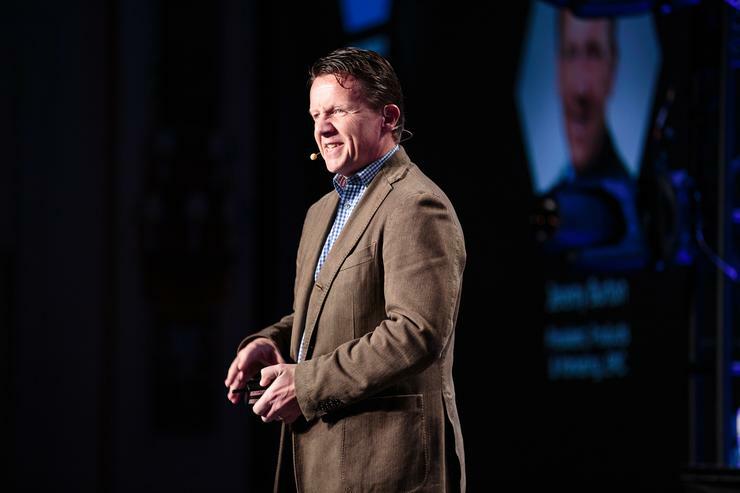 To embrace disruption and be prepared, Jeremy Burton, President Products and Marketing, EMC Corporation believes organisations need to redefine themselves and adopt a digital mindset. First they must start by driving out cost from existing IT without compromising service levels, while then using those savings to innovate quickly and enable the building of new transformative and application-centric business models using open development. “For anyone left confused, these announcements prove this is not your father’s EMC,” Burton adds. “By offering access to Project CoprHD, the open source version of EMC ViPR Controller and free downloads of EMC ScaleIO – two key enabling pieces of our Software-Defined Storage portfolio – EMC has turned a corner by delving more deeply into open, collaborative software development with our customers, partners, developers and competitors. Burton believes Open source software is increasingly becoming a “focal strategy” for enterprise organisations to retain control of their business and innovate quickly to respond to changing demands in the market. Open source software and open development practices enable organisations to avoid platform lock-ins, participate in projects and modify software to suit their needs while enjoying the benefits and access to a community of like-minded developers. Commercial software developers can benefit through leveraging an ecosystem of developer partners to help stimulate community-driven innovation around their existing platforms. Since its launch in 2013, customers, partners and industry analysts have hailed ViPR Controller as a leading, vendor-neutral control point for Software-Defined Storage automation. ViPR Controller is storage automation software that centralises and transforms EMC and third-party storage into a simple, extensible and open platform and according to Burton, EMC will continue to sell the commercial version of Project CoprHD, the EMC ViPR Controller, as a fully supported offering. So much so that Burton says ViPR Controller is offered as a key enabler for Third Platform applications that require fully integrated, next-generation scale-out storage architectures. As explained by Burton, Project CoprHD makes the code for ViPR Controller – all the storage automation and control functionality – open for community-driven development. Planned for availability on GitHub next month, Project CoprHD is expected to be licensed under the Mozilla Public License 2.0 (MPL 2.0) and enables customers, partners, developers and other storage vendors to access, expand and contribute to Project CoprHD’s breadth and depth of features and functionality. Positioned in the data centre as a single, open control plane for multivendor storage, Project CoprHD offers the same level of flexibility, choice, security and transparency as ViPR Controller, while adding the ability to create new services and applications. Burton believes building a strong developer community is crucial to the future success of EMC’s Software-Defined Storage and storage automation and management products. To ensure strong support for this effort, EMC is investing engineering and community resources to contribute and support Project CoprHD. Which vendor sold the most all-flash storage in 2014?